HMH Books for Young Readers, 9780544056770, 304pp. Rough-and-tumble Saturday Woodcutter thinks she's the only one of her sisters without any magic—until the day she accidentally conjures an ocean in the backyard. With her sword in tow, Saturday sets sail on a pirate ship, only to find herself kidnapped and whisked off to the top of the world. Is Saturday powerful enough to kill the mountain witch who holds her captive and save the world from sure destruction? And, as she wonders grumpily, "Did romance have to be part of the adventure?" As in Enchanted, readers will revel in the fragments of fairy tales that embellish this action-packed story of adventure and, yes, romance. 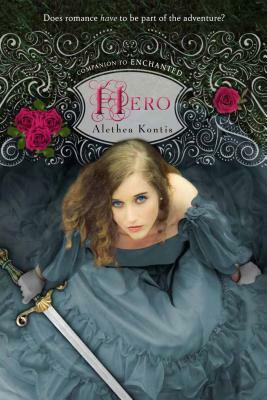 ALETHEA KONTIS is the author of the Woodcutter Sisters series, which includes Enchanted, Hero, and Dearest. She is also the New York Times best-selling co-author of Sherrilyn Kenyon’s The Dark-Hunter Companion. Alethea was a student of science fiction greats Andre Norton and Orson Scott Card. She lives and writes on Florida's Space Coast. Visit her website at www.aletheakontis.com. "Mightily entertaining . . . whether Kontis tells the tales of other Woodcutter children or not, readers will await her next with joyful anticipation." "Fans of the television show Once Upon a Time will definitely enjoy this fractured fairy tale that references many well-known stories."